Year 6 & 7 students are delighted to collectively create a multi-cultural Feathers McGraw, with the theme 'Secondary School Transition'. The base of the piece of art features the Pride Flag, and says 'Everyone Welcome' to communicate the FHS inclusive ethos. Feather is also sporting a FHS tie! 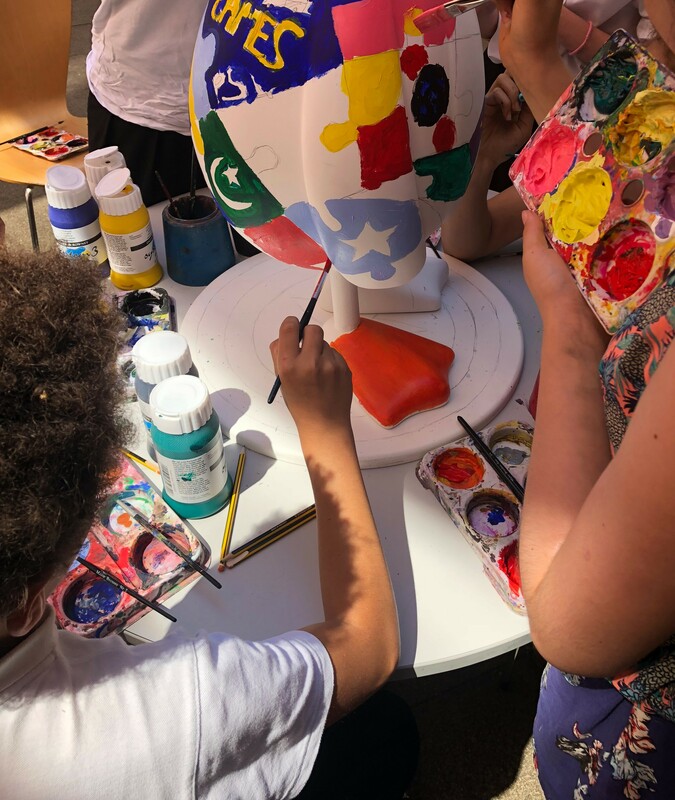 Edel Cronin, Art Teacher and Transition Co-ordinator at FHS comments: "The designing and painting of Feathers McGraw has brought current Year 6 and 7 students together, making the transition to Fairfield an even smoother process. We take every opportunity to invite Year 6 students joining us in September to engage in fun and inspirational activities... with this one topping the lot! The arts trail in Bristol has quite rightly again caused a huge stir and we are absolutely delighted to be a part of it. We would also like to say a big thank you to Burges Salmon for their sponsorship and continued support."